The United States Federal Reserve, a non-governmental entity that is mostly outside the jurisdiction of the US government, has fallen under fire once again from president Donald Trump. This sparked former Sen. Ron Paul to write a scathing blog further attacking the Federal Reserve and suggesting that perhaps Trump is right. Join us as we dig into this fascinating topic and see how cryptocurrencies could fundamentally change the current financial landscape. And maybe even, as Ron Paul suggests, prevent recessions from harming regular people. Before we get too deep into this topic, we need to go over a little bit about how central banks work. We’ll be using the US Federal Reserve as an example. However, most countries today use some form of central banking, so these examples can apply to almost anywhere. In the simplest terms, the Federal Reserve maintains an incredibly high amount of control over the US economy. They set the interest rates on banking products like savings accounts and credit cards, and they also control the money supply by printing more or less new notes each year. By controlling these two aspects of the financial system, the Federal Reserve can create conditions that lead to boom and bust cycles. According to Ron Paul’s recent article, the current positive economy movements we see today are the result of the Federal Reserve’s meddling. He even goes as far as to refer to it as being a fantasy or an illusion. Most people today deal exclusively in the fiat currency of the nation they live in. That means Americans mostly deal in dollars, British people mostly in pounds, and so on. What most people don’t realize is that this is a hazardous thing to do. It would be equivalent to putting all of your life savings and cash into something like Litecoin or Ripple. That’s not to say those are bad choices for investment, but instead, it’s like putting all your eggs in one basket. If the one vehicle you store all of your value in suddenly drops, then you could see yourself in a very precarious position. While cryptocurrency investors will realize the need to diversify, the average person typically does not have a good grasp on the risks inherent with holding all of their value in just one asset, namely a fiat currency. To make matters worse, many people likely don’t have a good understanding of where money comes from or how and why it has any value. According to former Sen. Ron Paul, because central banks can manipulate financial markets at will, individuals need to protect themselves by diversifying their holdings to include healthy portions of non-fiat stores value. The examples he gave in his article included precious metals, and surprisingly, bitcoin and other cryptocurrencies. Ron Paul also made an interesting though somewhat scary prediction. Specifically, he predicts that a new recession could be coming soon. This possible recession would, according to Paul, be caused by the Federal Reserve itself. So how can individuals protect themselves? The answer is of course fairly obvious. If a significant number of people diversify their holdings into non-fiat assets, then they would be mostly immune to the downfall of their fiat currency. For instance, if the Federal Reserve takes measures to slow or even damage the economy, those measures would only apply to US dollars and not gold or bitcoin. What’s even more startling is that Ron Paul suggested that this upcoming recession he predicts could also bring about the end of fiat currency as we know it. It is likely that the next Fed-created recession will come sooner rather than later. This could be the major catastrophe that leads to the end of fiat currency. How should the government act then according to Paul? 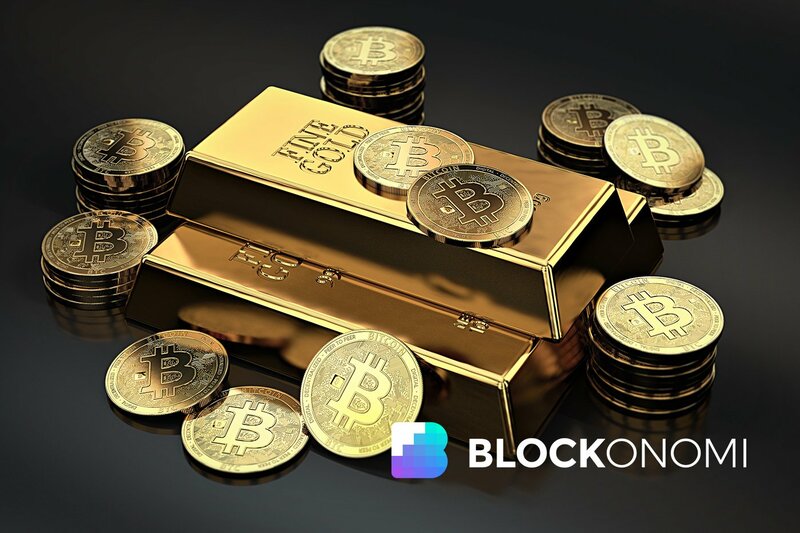 He assets that the government should exempt “all transactions in precious metals and cryptocurrencies from capital gains taxes and other taxes.” This would perhaps increase their adoption among a wider range of investors. While Ron Paul’s predictions about the doom of fiat currency will likely turn out to be overstatements, there is still some valuable information to be extracted from his assertions. Most importantly, everyone should engage in the wise diversification of their savings and assets. While it’s generally essential to keep most of your money in fiat currency, individuals should hold non-fiat assets as well. Doomsday scenarios aside, it’s been a commonly held refrain among experts that at the very least, individuals should put at least a portion of their money into hard assets like gold and real estate. Perhaps now it’s time for the average investor to take a closer look at cryptocurrencies to see if they can fit into their overall investment strategy or not.